March is likely to begin on rainy note for Northwest India, with rains returning to the region a brief break. A fresh Western Disturbance is over North Pakistan and would gradually move towards Jammu and Kashmir. It will soon induce a Cyclonic Circulation over southwest Rajasthan and adjoining Pakistan. Thus, we expect isolated thunderstorm and dust storm activity by Friday evening or night. Thereafter, scattered rain and thundershower activities would be a sight over many parts of the state on March 2. Isolated hailstorm activity is also a possibility over Ajmer, Tonk, Jaipur, Dausa, Sawai Madhopur, Bhilwara and Pali districts. As the system would head towards east, the rain belt would also start shifting gradually in east direction. By the afternoon of March 3, weather would start clearing up from West Rajasthan and by March 4, the weather would be completely clear. Thus, the weather would clear from Jaisalmer, Jodhpur and Barmer hence shifting the rain belt to Alwar, Bharatpur, Dholpur and Sawai Madhopur. The minimums over the state have already risen by 2°C-3°C and as per the weathermen, in coming 48 hours, we further expect a rise of 2°C-3°C. 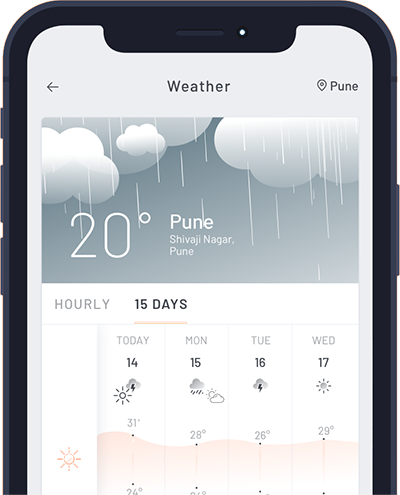 Skymet Weather has already issued a weather alert for the rains coming in the next 24-48 hours. 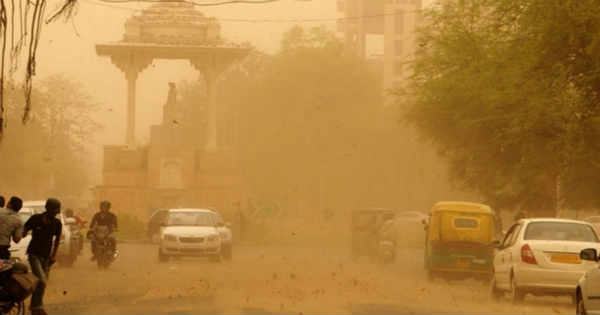 "Dust storm and thundershower with winds gusting to 40-50 kmph at some places and hail storm in pockets will occur over Ajmer, Alwar, Banswara, Baran, Barmer, Bharatpur, Bhilwara, Bikaner, Bundi, Chittorgarh, Churu, Dausa, Dhaulpur, Dungarpur, Sri Ganganagar, Hanumangarh, Jaipur, Jaisalmer, Jalor, Jhalawar, Jhunjhunun, Jodhpur, Karauli, Kota, Nagaur, Pali, Pratapgarh, Rajsamand, Sawai Madhopur, Sikar, Sirohi, Tonk and Udaipur districts of Rajasthan from today evening up till March 3, 2019." By March 4, the cold and dry northerly winds would once again start which would drop the minimums by 2°C-4°C. A marginal rise in minimums can be expected in the coming 24 hours. As of now, West Rajasthan is rain deficit by 5% and East Rajasthan by 25%. It is expected that the upcoming rains might marginally improve the deficit levels.